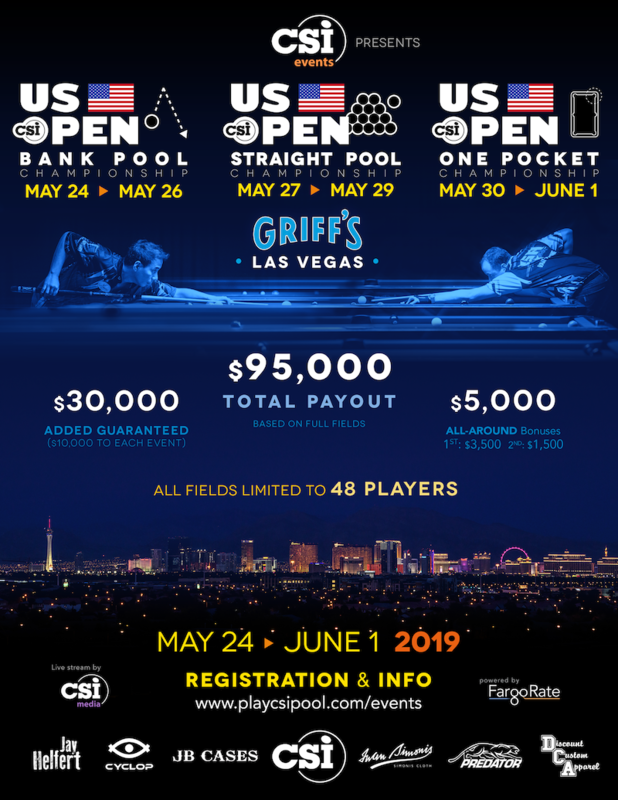 The All-Around Champion earns a spot in the $100,000 added Predator World 10-Ball Championship in Las Vegas + a $3,500 bonus. Must play in all three events to qualify. Hurry...fields are limited to 48 players. RATES AS LOW AS $29/NIGHT. ​1 MILE FROM GRIFF'S BILLIARDS. Book by Thursday, May 9 and receive the special group discount. Taxes and a $25 resort fee applies. After May 9, rate is based on availability.